Fab11 & Fab Academy 2015 Graduation! Hello from MIT. We spent an amazing week at MIT for the Fab Lab global annual meeting. It went from the most brilliant minds on panels to really fun times of sharing and creating. The theme was "Making Impact" and each day we had the world's experts on subjects such as robotics, biology, film making, startups and finally politics with Congressman Bill Foster and Megan Smith, Chief Technology Officer of the U.S. at the White House- she is awesome, centered, smart and caring about social justice. See links below to see who was on each panel and hear them speak. Since this meeting was held at MIT, we were fortunate to have many speakers from Harvard and MIT. 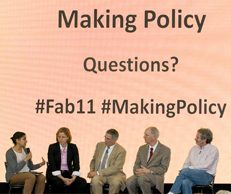 We held three workshops on public/private partnerships to Build, Operate and Accelerate Fab Labs. One morning as I got to the tent where the meetings are held, my Israeli friend Ohad and my Egyptian friends Moushira and Dina asked me right away get on stage with them. Every morning a team from a different country or region of the world offered to "fabercise" some form of local dance to wake up the large group (1,000 participants). In a matter of two minutes I ended up with them on stage ... Thank goodness they had a video projection so we could copy the dance. 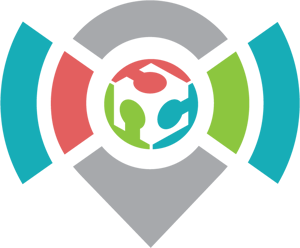 We are very happy to have participated and to help grow a network of people collaborating across boundaries, beyond politics and religion. 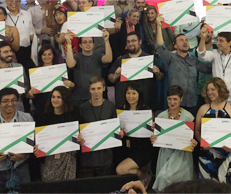 Fab Academy 2015 graduation took place at FAB11 during the Fab11 Symposium on August 6th, 2015 More than 200 students started the journey last January, with ~50 participating Fab Labs from around the world. At FAB11, 140 students graduated after ~6 months learning How to Make (Almost) Anything. How Making Meets Policy and Policy Meets Making. An incredible discussion on science, STEM and education with Professor Neil Gershenfeld, Director, The Center for BIts and Atoms, MIT and Megan Smith (United States Chief Technology Officer), Rep. Bill Foster (Congressman (Il-11); Fermilab; Electronic Theatre Controls), Rush Holt (CEO, American Association for the Advancement of Science; Executive Publisher, Science Family of Journals) at Fab11.